Ukraine’s Ministry of Defense reported at 12:30 PM Kyiv time that on March 20, three service members of the Ukrainian Armed Forces were wounded in action. In the last 24 hours, Russian-terrorist forces opened fire 11 times on Ukrainian positions in the Donetsk and Luhansk sector using heavy weapons in 10 instances. On March 20 Ukraine has imposed economic and other sanctions against 294 legal entities and 848 individuals for their involvement in the illegal annexation of Ukraine’s Crimea and the war in eastern Ukraine. Some of the sanctions target people and entities associated with the construction of the Kerch Strait bridge between Ukraine’s annexed Crimea and Russia. Others are applied against people and entities who played a role in the detention in November 2018 of two Ukrainian naval vessels and their 24 crew members by Russia near the Kerch Strait. 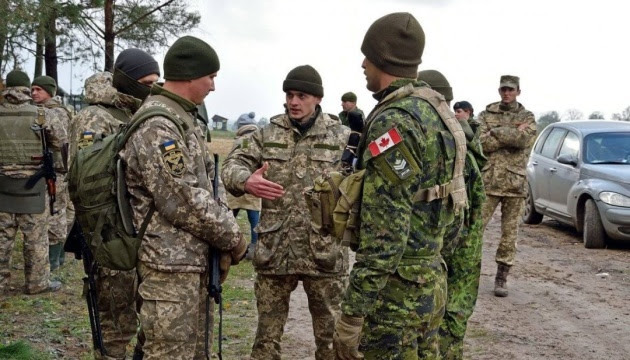 Notably, the 24 Ukrainian sailors are still being held by Moscow despite the fact that the OHCHR clearly stated that 24 detained crew members may be considered prisoners of war protected by the Third Geneva Convention. The list also contains people and entities who helped organize and held unauthorized and unrecognized “elections” within the temporarily occupied territories of the Luhansk and Donetsk regions in eastern Ukraine in November 2018. The rest of the people on the list have been accused of “violating Ukrainian travel legislation by visiting Crimea or of playing a role in the relocation or use of museum collections belonging to Ukraine. 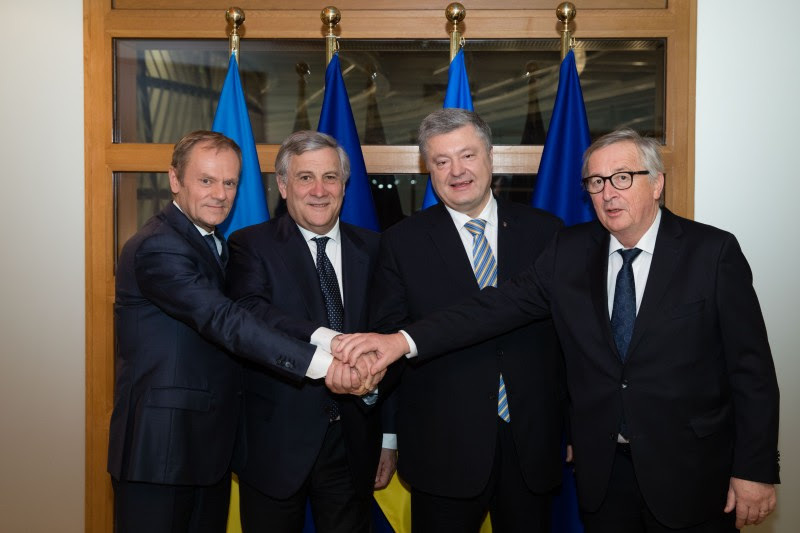 On March 20 Brussels hosted a mini-summit which gathered Ukrainian President Petro Poroshenko, President of the European Council Donald Tusk, President of the European Commission Jean-Claude Juncker, President of the European Parliament Antonio Tajani, as well as key profile members of the European Commission. The goal was to harmonize the approaches to the development of relations between Ukraine and the EU for the near future and coordinate joint counteraction to the existing challenges as well as to accelerate the launch of the EU program on social and economic assistance to the Ukrainian Pryazovia [area surrounding the Sea of Azon]. The parties discussed the ways to strengthen Ukraine’s energy security in cooperation with the European Union, particularly by ensuring gas transit and launching the EU-Ukraine energy bridge. Ukraine called on the EU leaders to stop the construction of the Nord Stream 2 gas pipeline, which poses a threat to the energy security of the entire European continent. During the summit the leaders also highlighted the importance of transparent and fair elections and agreed to coordinate efforts to counter external interference in electoral processes both in Ukraine and in the European Union, in particular in the area of cyber security and resistance to misinformation. 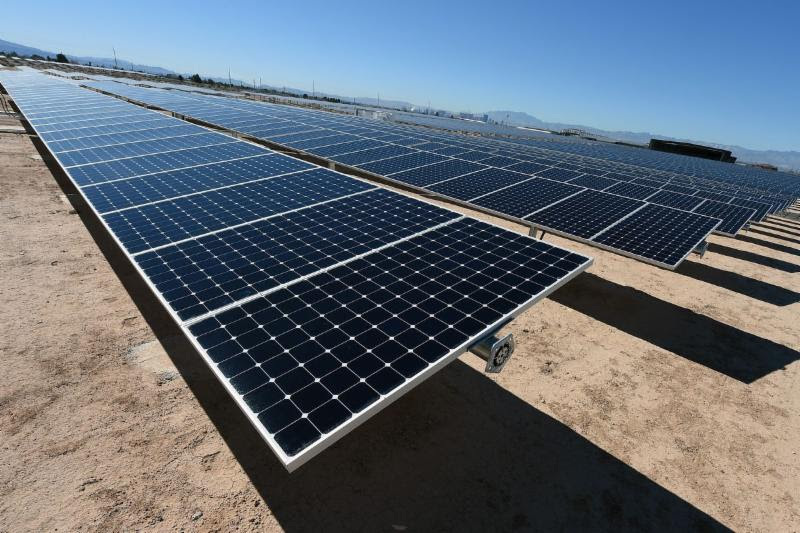 On March 19, Ukraine launched a 64-megawatt solar power plant in Kamianets-Podilskyi district of Khmelnitska Oblast, some 430 kilometers southwest from Kyiv. The plant is a joint project of Ukraine’s top investment fund ICU and London-based alternative asset management company VR Capital Group. The $55 million plant is the second largest in the country. The plant has the capacity to supply electricity to one-third of all the households in Kamianets-Podilskyi, a city of about 100,000 people. At the same time, it will decrease Ukraine’s carbon emissions by 67,000 tons annually. Ukraine’s renewable energy sector draws a lot of interest both among domestic and foreign investors, including Canada’s TIU, Spain’s Acciona, and Norway’s NBT. Experts believe it is because of the green tariff – the premium Ukraine pays for electricity generated from renewable sources. Romania’s main airport has dropped the long-obsolete spelling of the capital of Ukraine Kiev that is the direct transliteration from Russian, switching to a correct spelling – Kyiv. “Today, the Bucharest Henri Coanda Airport has switched to the correct spelling of the name of the Ukrainian capital, Kyiv. I am grateful to the Administration for their cooperation and support!” Ukrainian Ambassador to Romania Oleksandr Bankov wrote on Facebook. The similar change has been recently introduced by the airport administrations in Budapest, Istanbul, Tallinn, and Vilnius.